crack, chip or fade due to the addition of Ultraviolet Stabilizers. Unlike rubber boats, it does not puncture upon collision with sharp objects. Bottom section is filled with Polyurethane foam or Polyethylene foam to ensure stability and buoyancy. 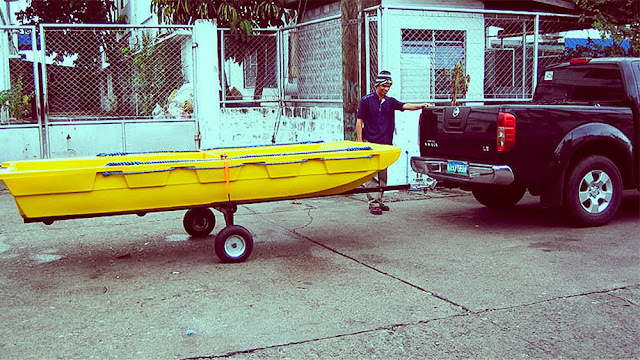 Versatile to fit with various outboard gas motors from 3.3 hp to 5 hp or with electric trolling motors with a transom height of 15 inches, the Inca Boat is easy to transport and maneuver weighing only less than 200 lbs. 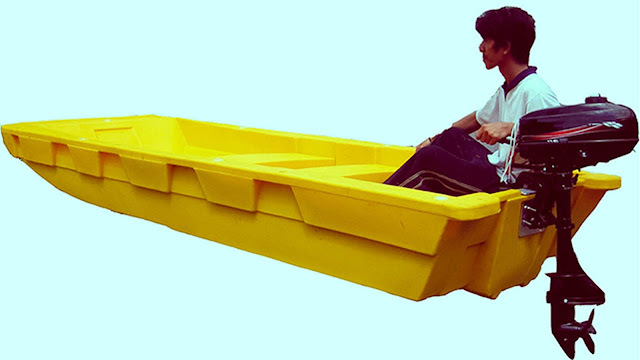 The boat can accommodate 6-persons or 1000 lbs (500 kg) load. Suitable for recreation along shorelines, harbors, fun at beach resorts or swimming pools. During extreme weather conditions, it can even serve as a rescue boat in heavily flooded highly urbanized centers. Available in YELLOW and ORANGE standard colors. Is this a motor boat? You can purchase the motor or without the motor. Please contact us for faster transactions. Thank you!